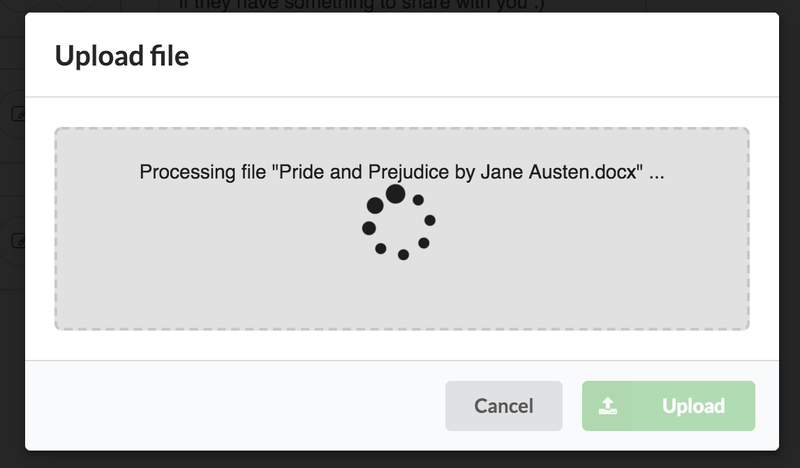 It is possible to upload your book directly to BetaReader.io. We currently support docx, a format that Microsoft Word uses natively, and most other word processors can export to. Chapter titles should use the Heading 1 styling. The file cannot be larger than 5MB. The book cannot contain images. The book title is derived directly from the name of the file that you upload. This is easy to change afterwards, so don't worry too much about this. Click the upload button on the dashboard. 2. This will open a dialog which you can click and select your file in, or simply drag and drop your file to. 3. Once you've selected your file, we will start to process it. This can take up to 15 seconds, so don't click away immediately. 4. When the processing is completed, you will see how many chapters we have found. If this doesn't match your expectations, go back and check verify that the document is as clean as possible, with only chapter titles using the Header 1 style. 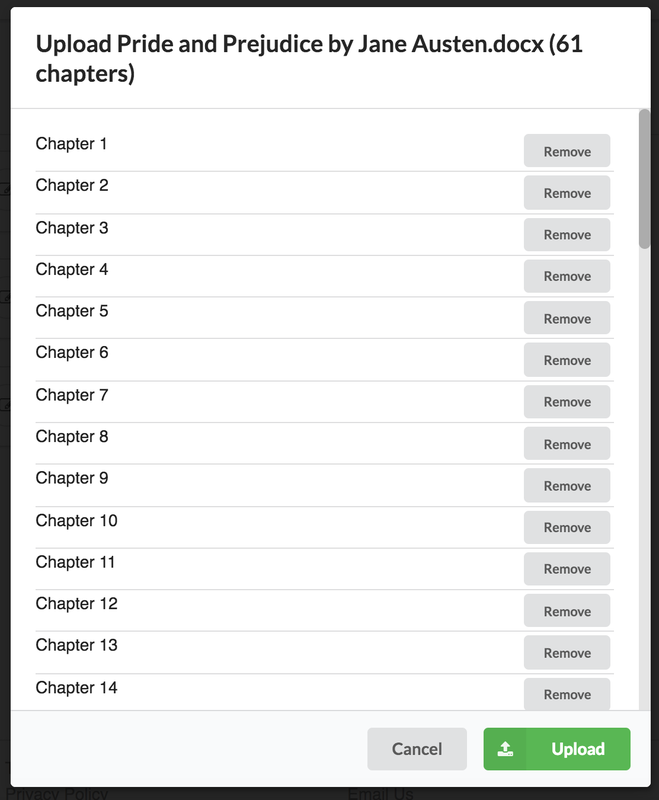 It is also possible to remove chapters that you don't want to upload.